The ground breaking project gives you the ability to ‘mess’ with the Jack Link’s Beef Jerky Sasquatch in a whole new way by bringing him out of your computer, onto your desk! 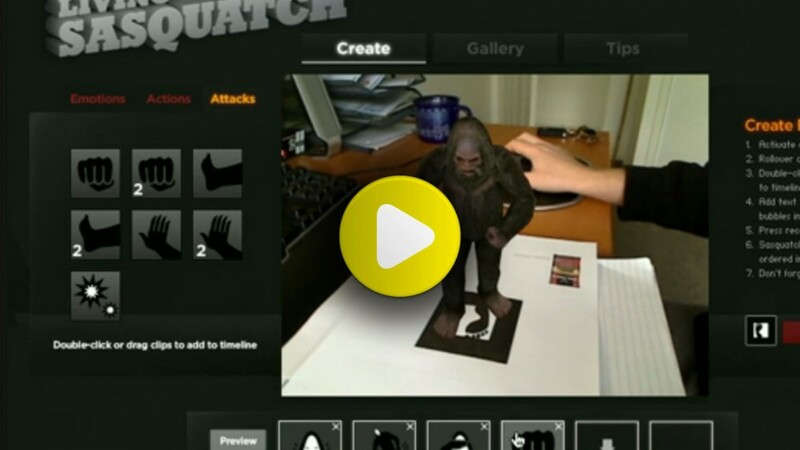 You can even add speech bubbles to give Sasquatch a voice! Once these short movies have been created, you can send them to friends and add the movies to the public gallery. Movies in the gallery then receive “Stomps of approval” or votes from other viewers of the site. 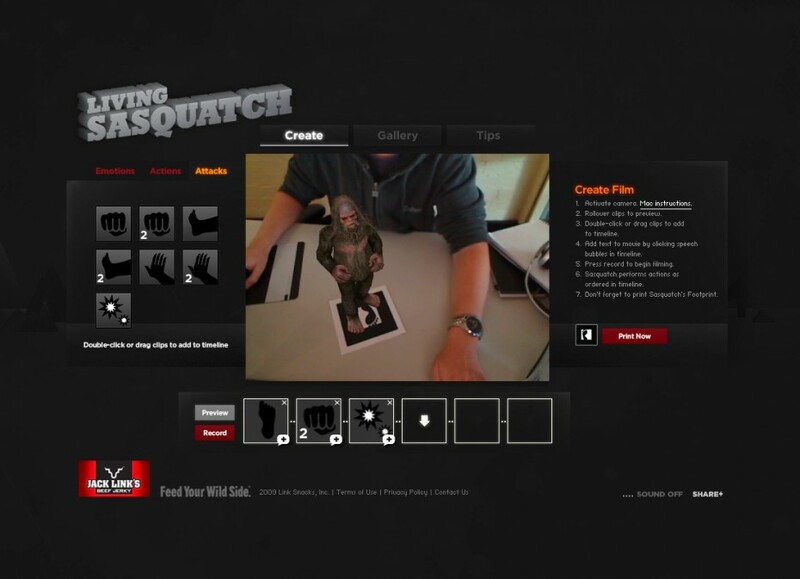 It’s movie making with a difference where you are the writer, editor, director and co-star with your very own 3D Sasquatch.